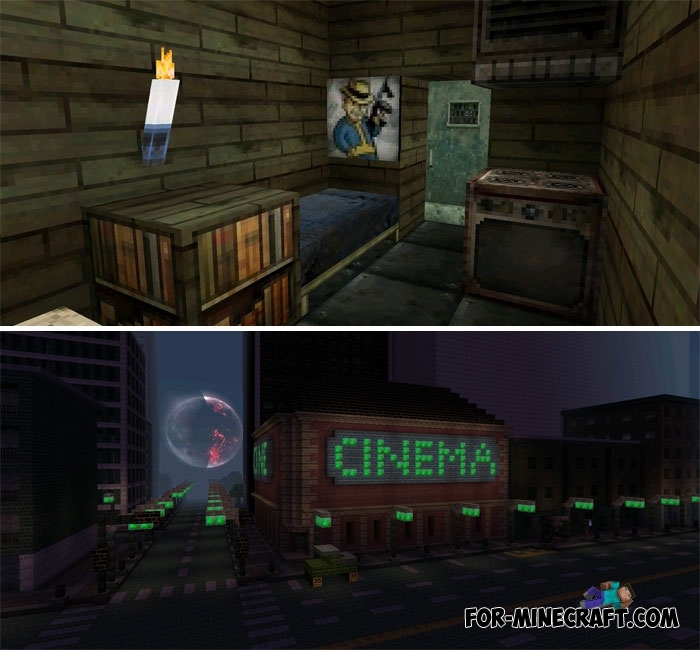 Feel the atmosphere of post apocalypse in Minecraft by installing this texture pack. 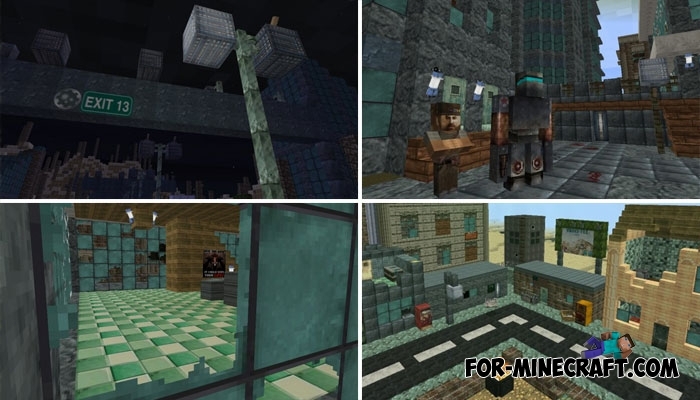 We also recommend that you download the FalloutCrafter mod which adds a lot of items from Fallout as well as a small ruined settlement and new mobs. 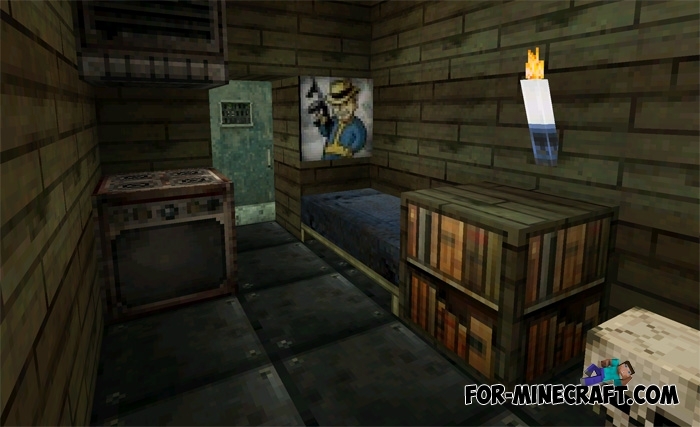 As for the textures, they are executed in the best traditions of Fallout, combining dark colors and realism. Events take place in the distant future after the terrible nuclear war that led to the almost complete disappearance of mankind. Try to build your unique shelter and provide it with all the necessary things. How to install the Fallout Texture pack? 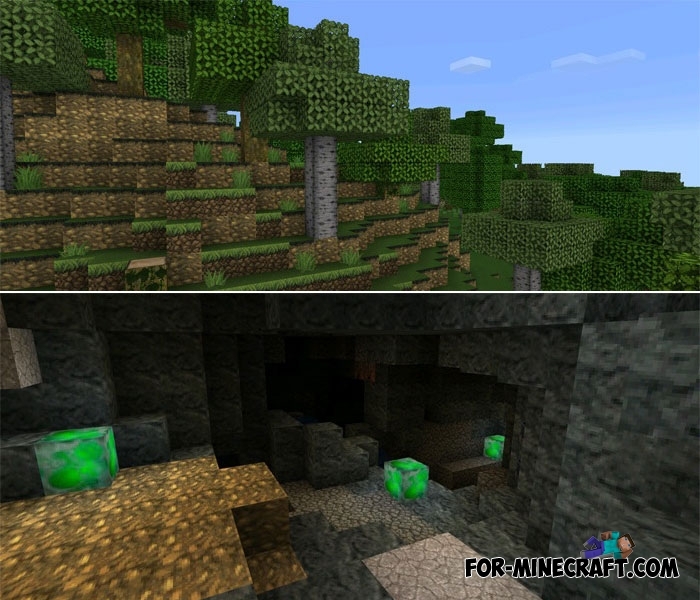 FalloutCrafter mod for Minecraft PE 0.16.0FalloutCrafter consists of an excellent texture pack, atmospheric map, and mod for changing the game..
Can you make an mpack for this please?